I grew up in a household where video games on the television were not allowed. I was able to convince my parents to let me have a Game Boy in junior high, but consoles were forbidden; my sister received a Sega Genesis for her birthday and had to publicly give it back to the people who had gifted it to her. There was a weekday ban on television that my sisters and I were able to convince our parents to waive, but video games were always prohibited, seen by my parents as the ultimate brain-rotting agent. That didn’t stop me from getting to them, and I would spend hours playing games at friends' and relatives’ houses if I was lucky, at video game stores and arcades in the mall if I wasn’t. During those weekends when I would sneak my cousin’s Playstation into our house, I would often play games while my sister watched, but dungeon crawlers were off-limits. They were just too boring and repetitive, and they’re not any fun unless you’re the person in charge of the controller. From early on, it’s clear that FP’s powers give her an advantage in regards to dungeon crawling. While Finn is overturning rocks and pulling vines to find an entrance to the dungeon, FP just does a heat scan and sees that one of the trees isn’t made of wood. 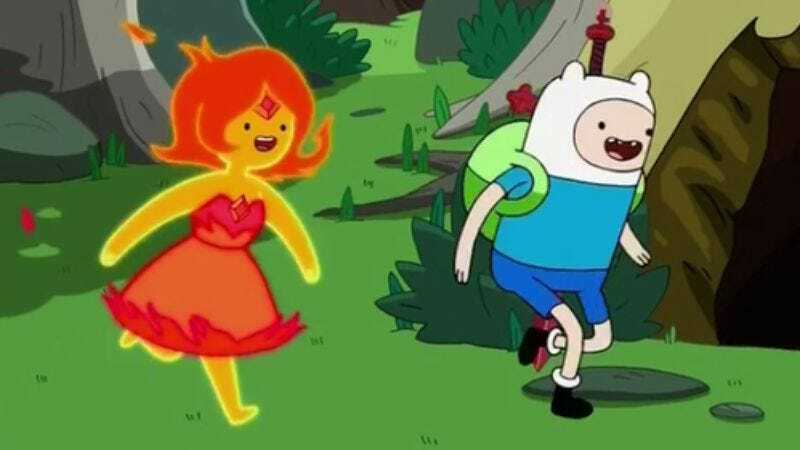 Finn needs a torch to light his way; FP is a walking torch. Finn needs the weapons and armor he finds on the dungeon floor; FP is a walking force of pure destruction. That said, FP’s idea of exploring a dungeon is lighting everything on fire until she reaches the end, and that takes all the fun out of it. Finn leading the way means that FP is stuck as a bystander when they could be having a co-op adventure, and she tells her boyfriend that she’s not having any fun following him around and doing things by his rules. Finn has been learning new lessons about adolescence with each episode, and as his relationship with FP heats up, he’s beginning to face the reality of having a girlfriend. 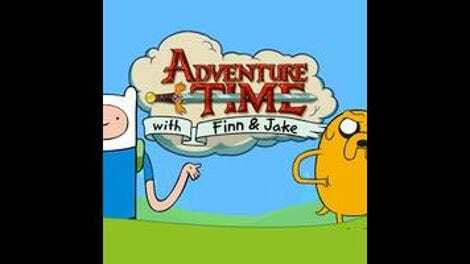 FP is not Jake, and Finn can’t approach a date the way that he would a hangout with his bro. Finn decides to relinquish control to FP after she tells him how she feels, and what follows is a wave of fiery fury as she burns everything in her path. Can someone explain that weird sniffing-laughing thing that happens when Finn and FP are playing cards? How many gauntlets do you think Finn has cluttering up the treehouse? He should stack them next to all the old Macintoshes. A giant skeleton is a pretty lame villain, but throw some chainsaws on it, and it’s suddenly a force to reckoned with. I would love to see an episode of FP in a really intense kung-fu adventure because I think her flame powers would look awesome in that setting.